Good things come in threes. 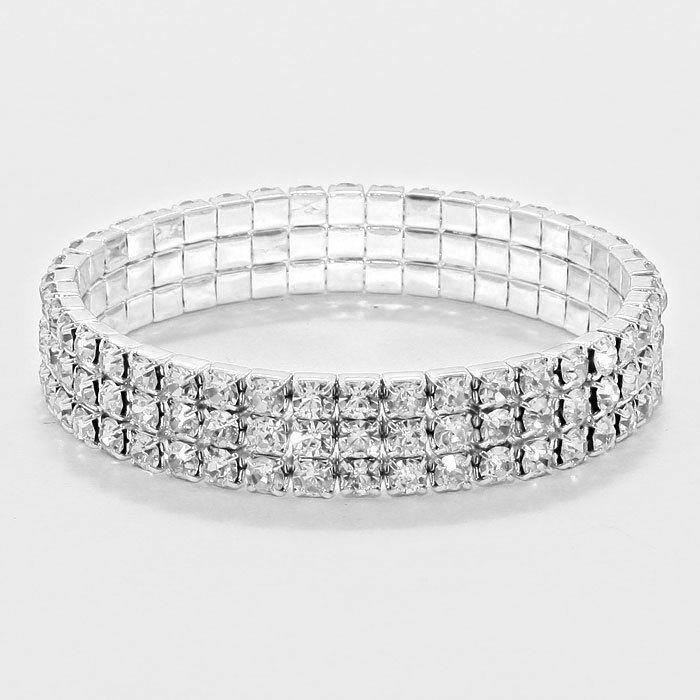 The Celine bracelet oozes old Hollywood style showcasing three divine rows of sparkle with plated silver set-rhinestones on a comfortable stretch. Add style to any outfit with this stunning fashion jewellery item, buy now!